Iran and Morocco in many ways represent two sides of the same coin – a Sunni Monarchy close to the western democracies whilst firmly implanted in Africa will be soon pitted against a Shia’ “Theocracy/democracy” that is friends with autocratic regimes and with regional aspirations in central Asia and the middle east. Their upcoming (sports) confrontation will in many ways become a symbol not only of their rivalry, but more importantly of competing visions of the Middle East. Morocco has been the darling of the west, for its relative political stability (in no small part due to the respect that the King’s authority commands), its diversity (nomadic tribes, “ri’f fertile agricultural land”, cosmopolitan port cities) and its willingness to become the bridge between North Africa and “the west”. Notwithstanding the thorn that constitutes the Western Sahara in international relations, nor the simmering animosity with its Algerian neighbor, Morocco enjoys a reputation among western states that even the Gulf states (for the Anglosaxon world) or Lebanon (for the Francophone world) struggle to match. Indeed, the rest of the Arab world looks on with a varying degree of jealousy, and for good reason: the Sharifian monarchy constitutes one of the oldest and longest-serving Islamic monarchies currently in existence. Its theological and historical credentials put many of the other current dynasties to shame. Sure, Saudi Arabia is custodian of the two holy cities, but the Wahhabi doctrine is not particularly popular with many Western states. Morocco possesses historical centres of excellence, second only to Al-Azhar in their prestige (ex: University of al-Qarawiyyin), a relatively diverse economy (as compared to that of Algeria, or certain Gulf states) and a developing middle class that ensures a degree of political stability. Add to this résumé a football team among the best of the Middle East and one can easily understand the pang of jealousy that many may feel. Iran on the other hand, has had its revolution and therefore can claim that it is a country of the people, for the people, run by the people. Iran has played on its pariah status in order to portray itself as the defender of the (voiceless) people, Sunni or Shia in the Middle East and beyond. In many ways, Iran has utilized its ultra-nationalistic paradigm in order to develop a “stand alone” international policy, where it only allies itself for utilitarian purposes (ex: Russia) but is ready to let go in order to conserve its independence. Naturally, Iran has started to look beyond its traditional sphere of influence to the Magreb and in particular towards Morocco, in the hope of eliciting support from communities that are not politically strong in their homelands. Thus, Morocco has discretely had to repel Iranian attempts to gain a foothold on its territory and has even broken off its diplomatic relations with Teheran, accusing the Shia regime of arming the Polisario front. Whilst a more subtle reading of this particular incident is possible (Gulf pressure on Rabat to reduce Iranian presence in Morocco or even a message sent to Algeria with regards its dealings with the Polisario front and Iran), nonetheless, Morocco has had to veer away from its preferred neutrality in the region and push back against Iranian meddling. 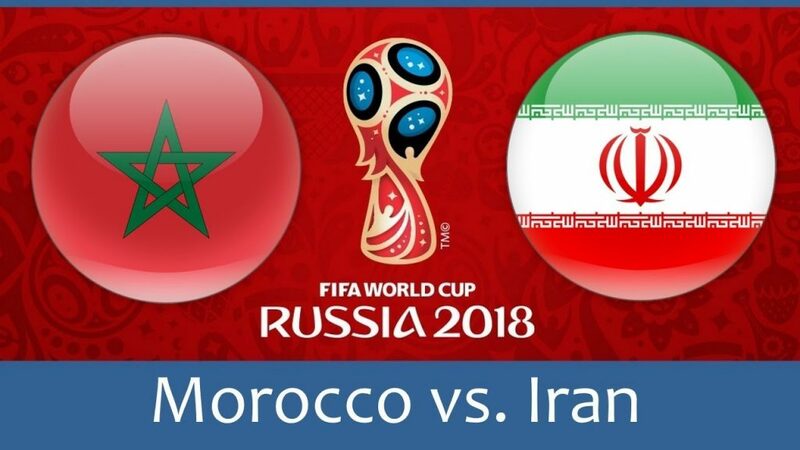 Consequently, the upcoming football match between the Islamic republic and the Sharifian monarchy will be highly symbolic in showing two faces of the Islamic world.